Technical Theatre MP1 offers a full schedule of theoretical and practical classes as well as hands-on practical training. Classes vary between ensemble courses and private lessons. RSA endeavors to train well-rounded theatre artists in each programme. In Technical Theatre MP1, a large focus of the programme is on communication skills through acting classes, procedures and organizational aspects of theatre through production and performance opportunities on BMO Studio Stage productions. 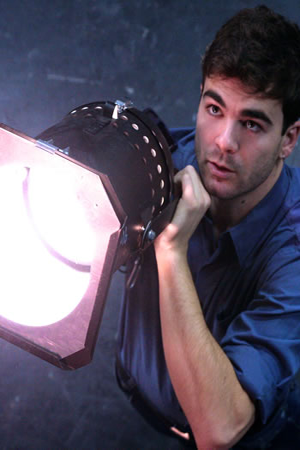 Students study the techniques of technical theatre and the disciplines that support it, such as lighting, scenic painting, sound, scenic carpentry, design, props, costumes and stage management. Tech students take part in BMO Studio Stage productions, doing everything from acting to stage management to costumes, props, lights, and set construction. After successfully completing Technical Theatre MP1, students are interviewed to determine their participation in Technical Theatre MP2. Alternately, students may carry on their studies in Theatre Arts MP2. Technical Theatre MP2 & MP3 focuses on practical application of skills. Majors and minors are offered in lighting, stage carpentry, sound, stage management,costuming, and properties. The student’s timetable is designed around the Rosebud Theatre schedule since the focus of Technical Theatre MP2 & MP3 is theatrical production. Students are expected to operate the technical elements and run productions at the Rosebud Opera House and BMO Studio Stage. Specialized classes and projects, including a self-produced final project, round out the curriculum. Technical Theatre students will attend the International Theatre Trips to London, England and New York City in their during their MP1 & MP2 programmes. Upon completion of the Technical Theatre Mentorship Programme students are inducted into the Rosebud School of the Arts Guild as Fellows (F.R.S.A. ).